According to reports, the relationship between Chelsea manager Antonio Conte and winger Willian isn’t particularly great as we enter the summer transfer market. After the Blues won the FA Cup on Saturday, the Brazilian international caused a stir with his post on Instagram, as seen below, where he pretty childishly decided to cover up his manager with trophy emojis. Since then, Sky Sports have reported that Willian will leave this summer if Conte remains as boss, and the potential of a reunion with Mourinho at Manchester United has been touted as a possibility. In turn, things don’t sound too positive between the pair, but interestingly, it seems many have backed the Italian tactician after the dig at the weekend, as seen in the tweets below. It shouldn’t really come as a surprise as it’s such a petty move from the 29-year-old, who clearly didn’t need to create a talking point on the day that Chelsea ended the season with a trophy and with fans having something to cheer about. 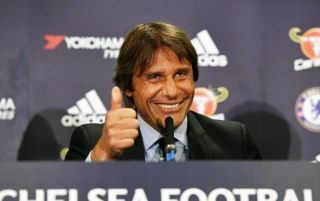 Nevertheless, it now remains to be seen whether or not he gets his reported wish and Conte is replaced this summer, or perhaps he may well have to find an alternative option ahead of next season as we can’t imagine that his social media antics will have gone down well with the coaching staff at Chelsea who will surely now be aware of it. This is not good. Keep Conte, sell Willian, if that’s his attitude. Disgusting attitude by him. Willian’s been in and out the team before Conte arrived! Willian is overrated. Sell Willian! Get him out. Never liked or rated Willian anyway. Now he should be sold & if it doesn’t involve Martial thenid sell him abroad.